Ironically, blogging about fashion (on top of work and everything else) leaves me little time to actually shop for it. I find myself browsing stores here and there to kill a spare half hour; however, gone are the leisurely days where I can set out and spend the entire day shopping. I hadn't set foot in H&M for ages, but when I got around to it (I needed more socks), I found a couple of key pieces to round out my spring wardrobe and scratched a few items off my mental shopping list. Mission accomplished. My black Banana Republic wool cardigan gets worn more often than any other sweater in my wardrobe because it's so versatile. 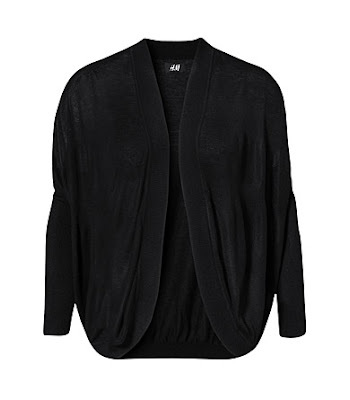 This draped open-front black cardi with wide sleeves will provide a fun alternative to one of my main closet staples. It looks great with a simple tank top and skinny jeans. My casual shorts became casualties of my most recent closet purge as I decided to replace them with better-fitting, dressier options. These versatile tailored shorts are slick enough to pair with heels and a fancy blouse, but can also be dressed down with flats and a cute tee. This trench caught my eye immediately. 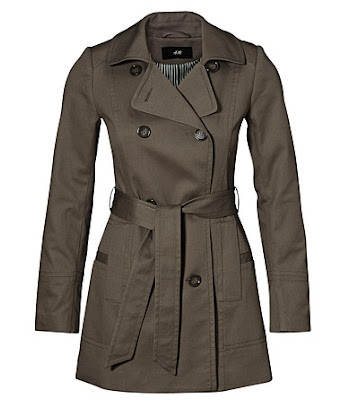 It's the perfect combination of a classic trench's polish with the casual vibe of this spring's military trend. Have you started shopping for spring yet? Those shorts are perfect - I want them! I second Kelly. Not to short, not too long, and utterly amazing. I love the clean, tailored look of those shorts. Like Kelly and Sal mentioned, that's wonderful that they are the perfect length. 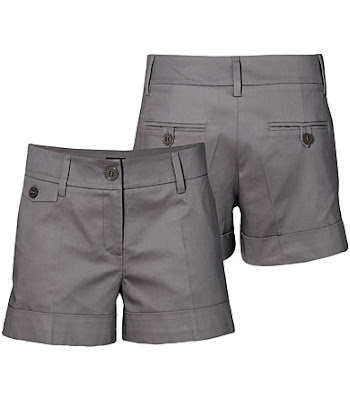 I'd consider checking out a similar pair closer to summer to see if I could fathom non-knee length shorts. Not yet, but i like everything. I haven't started shopping for Spring, yet. We just got 4 inches of snow here. Boo! Your picks are lovely! I have a long wishlist for spring if that counts! Great trench and shorts! I love H&M! Seriously, I don't think H&M is just 'fast fashion'. I have quite a few peices from H&M that are classic and have made it through a few years now and still look awesome. I still have some underclothing from them that are in great shape, from 2005! I want that trench coat sooo bad. I love the simple, no-nonsense look of those shorts, too. Wow! Awesome finds, Lisa- I like them all! I haven't had much time to shop because of my teaching practicum but I def. miss how we used to be able to walk over to H&M during those work lunchbreaks! those are great finds...just perfect! February issue of Vancouver Fashion eZine is out!